Right beside Luca's school there is a construction site - old apartment blocks were demolished to make way for a new housing complex. 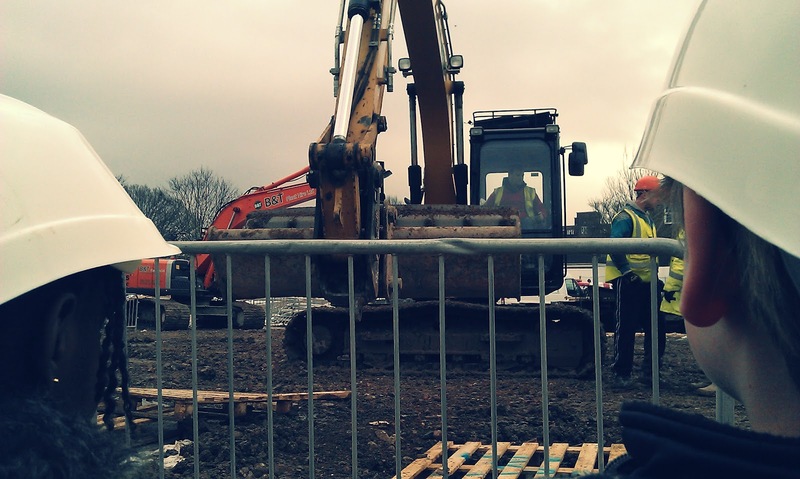 We can see this construction site from the front of our place and we have been watching the development with interest. Mostly because there are diggers. LOTS of diggers. 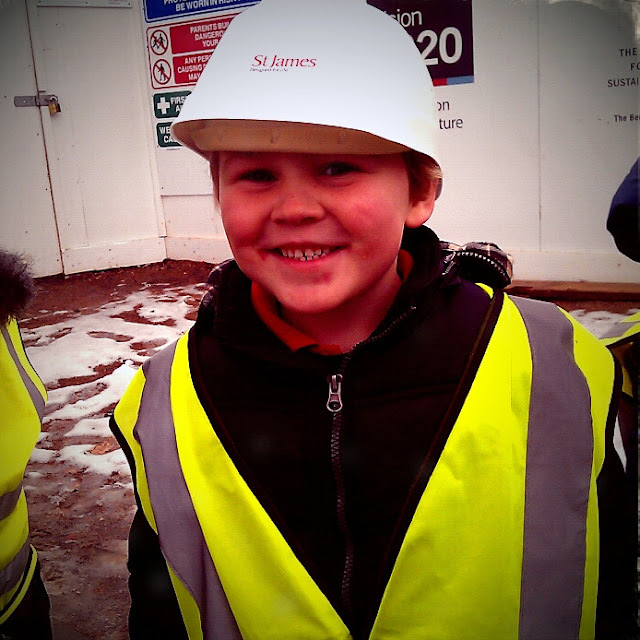 Luca's class had a little 'outing' to visit the construction site and Austin got to go with him. 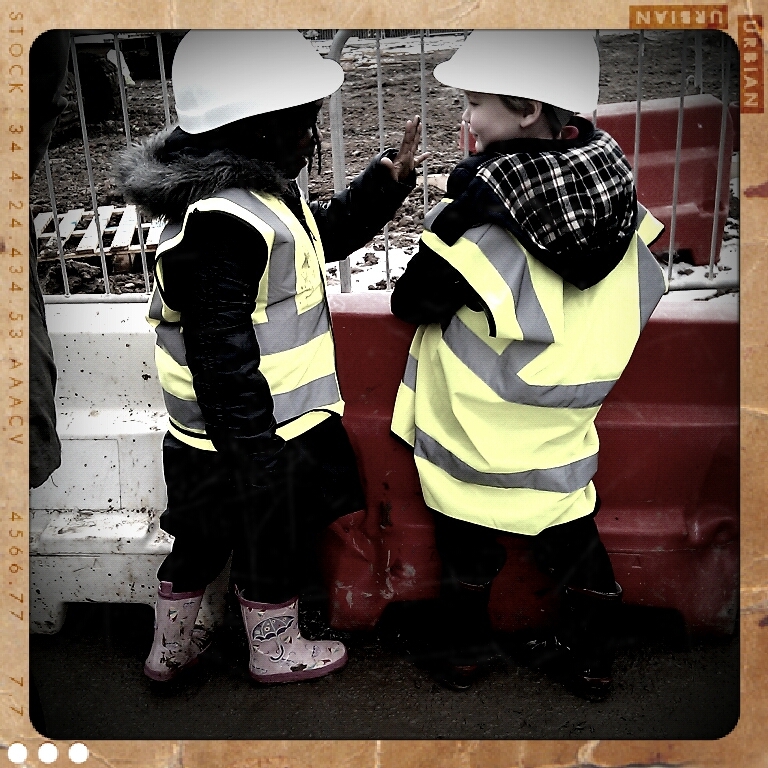 All the children were given hard hats and high-visability jackets to wear. Super cute. 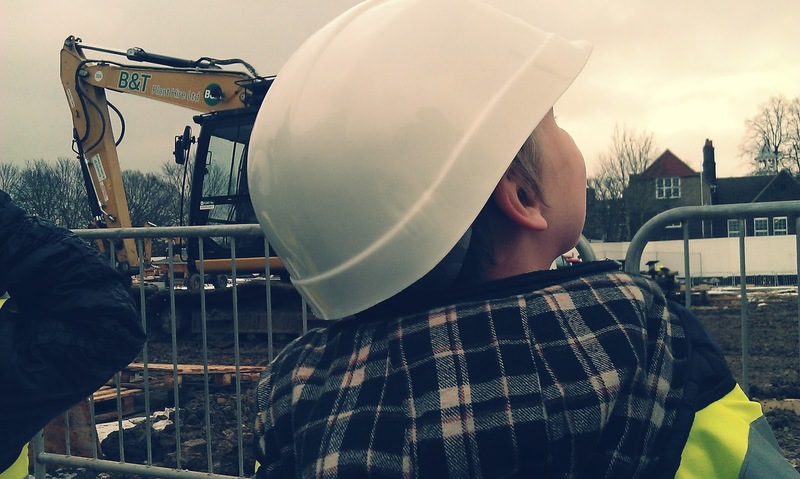 As you can imagine this was all extremely exciting for the children, especially so for Luca because, not only did he get to see diggers at work up close and personal, but Papa got to see them too! He was so proud to have Austin there experiencing the construction site with him. When they were back at their classroom and Austin was saying goodbye to come back home, Luca leaned shyly against the doorpost and with a wee smile on his face said "Thank you Papa for coming to the construction site with me". I love it that he thinks his Papa is so super-cool. I hope he grows up thinking his Mamma is super-cool too. A couple of nights ago we were reading through Luca's book from school and the story is of a father in hospital with a sore leg and the mother and children arrive with gifts for their father. The children end up eating most of the chocolates meant for their father and they knock over the vase of flowers, and Luca says to me "Will their Mamma growl them now?" don't worry Dadda's the favourite in our house too. I don't mind...usually. *no question mark after 'stop it', phone error. It's definitely an order, not a question. I love these photos! love Luca and his lil friend! cute!